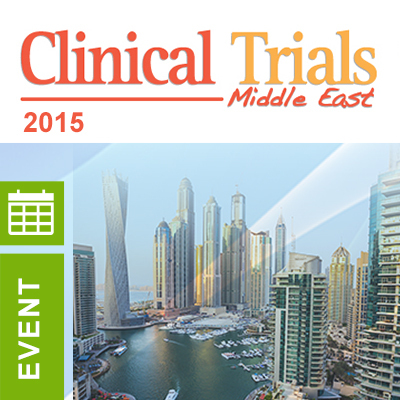 ADAMAS Consulting will be participating at this year’s Clinical Trial Middle East Conference in Dubai in November. Established in 1997, ADAMAS is a leading global independent Quality Assurance and Quality Management System consultancy. Overall, ADAMAS brings more than 18 years of experience as a company conducting GxP audits and QMS projects. We’re different…with a global staff of over 25 dedicated permanently employed ADAMAS Consultants, not contractors, including former GCP, GVP and MHRA Inspectors. With offices in the UK, US and India we have the world covered delivering high quality reports, consistently, on time and providing the confidence you need for your Quality Assurance activities. The ADAMAS team has worked with over 500 global biotechnology and healthcare companies, from multinational to ‘virtual’ companies, in over 84 countries throughout Europe, North & South America, Asia, Africa, the Far East, the Middle East and the Pacific Rim. ADAMAS staff will be attending the conference, and we would welcome you to come and introduce yourself to Dr Layal Lutfi (Executive Principal Consultant and Head of Business, MEA) and Shehnaz Vakharia (Head of Business, APAC) . We are happy to provide guidance, share insights and answer your questions regarding the nuances of maintaining regulatory compliance around the world. We look forward to working with you. What is Computer Systems Compliance (CSC)? Brochure – Please download the ADAMAS brochure describing our QA services and contact details. The development of medicines is the most regulated industry in the world, and compliance at each stage of the research and development process, as well as after licensing, is critical to ensuring high quality and safe medicines reach patients in a timely manner. ADAMAS’s consultants have expertise across the G’X’Ps in pre-clinical, clinical and post-licensing areas. They have worked across many different therapeutic areas and product types including oncology, vaccines, biologics, medical devices and gene therapy. As a company we have developed close partnerships with our clients to support them in their development programmes and post-licensing activities, and to guide them successfully through their worldwide regulatory inspections. So you want to be a Clinical Auditor? An article written by CEO.Dr. Please download our benchmarking data sheet, to see how these data compare with your own performance. To discuss a more detailed report, or analysis of a data subset, please get in touch. Please enter your details to complete the download. Want to become one of the first businesses to access our exclusive data? Get going and start reducing risk today. Pre register now.